Selected Villas for rent near Yogarden (Koh Samui) - Contact us now! Set amidst a house boasting traditional Thai architecture and design, Yogarden’s quirky vibes does not fail to charm. The studio is enveloped by a picturesque garden containing vibrant orchid blooms. 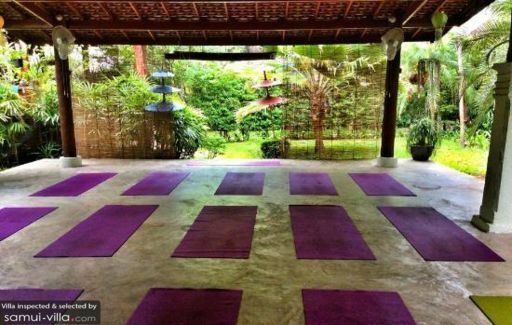 Yoga enthusiasts can take their pick from a wide selection of yoga classes, such as Hatha, Ashtanga, Iyengar and Vinyasa Flow yoga. Yogarden encourages all visitors to hang around and chill out at the venue, and offers them with plenty of cosy options to choose from – guests may linger in the garden, or feast on healthy and wholesome meals at the cafe.